I've been out walking in the hills today so no time for a post. 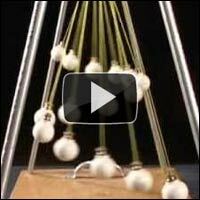 To keep you going check out this amazing video of the patterns that appear when you set group of different length pendulums swinging. Amazing!